Taking out a loan is not a decision to be made lightly. But if you take funding and invest it wisely, it can be the secret sauce that helps your business grow exponentially. Eighty-four percent of business owners who take out loans through Square Capital say that it has helped them grow sales or revenue. Jovanny Yu, owner of the Taylor Monroe salon, had never taken out external funding — or even thought about taking on debt. Then, about a year and a half after opening in the Hayes Valley neighborhood of San Francisco, he received a merchant cash advance through Square Capital. He repaid the funds in a little more than six months. The growth he saw from that investment brought Jovanny back for additional funding through Square Capital. One of the biggest investments Jovanny made with his loan was hiring more staff. 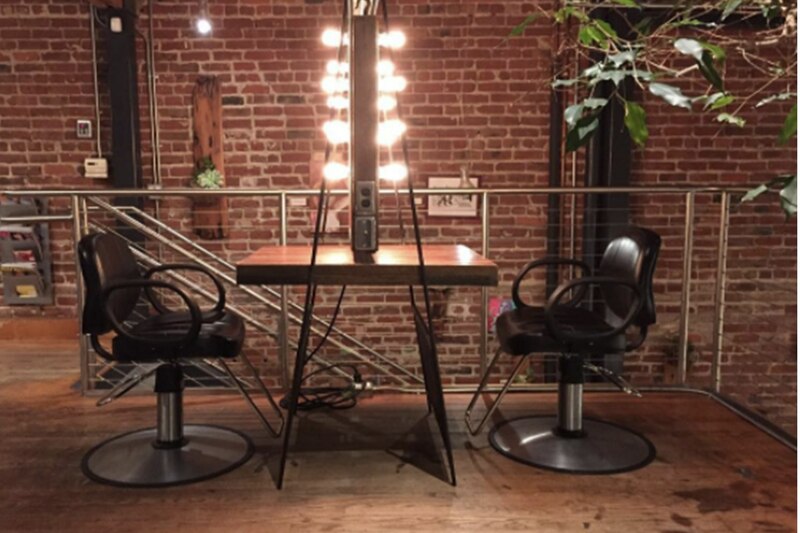 Whereas many salons operate on a chair rental model, Taylor Monroe is a commission-based salon (which means more overhead, but also more oversight of the business). The salon started with 14 stylists three years ago. Today it has a staff of 30 people: 22 stylists and eight other employees. He estimates that each new stylist brings in eight to 10 clients a day and the salon has doubled the number of appointments in a month since taking funding. He’s also seen the average ticket increase by $14. In addition to hiring, Jovanny focused on building a modern space that was comfortable for both his stylists and his clients. Jovanny renovated the store, upgraded lighting, and purchased a dishwasher so staff had to spend less time doing things other than interacting with clients. He’s also ordered new salon chairs. With upgrades to the space and increases in staff, Jovanny estimates an increase of 41 percent in monthly revenue. In addition, he’s noticed a boost in morale amongst his stylists; a plus in an industry where he says turnover is a regular occurrence. These investments have also helped Jovanny realize his vision for his salon and the Taylor Monroe brand — an inclusive, modern space where people come for beauty services and stay for the atmosphere. It’s a place where clients feel like more than clients; they are part of a community. Jovanny loves the close attention Square Capital gives him. And he appreciates that payments are based on his real-time sales. His goal for Taylor Monroe is to open a second location — possibly in New York City — and he feels like Square makes it feel achievable. He plans to come back to Square Capital to help finance that project. This online survey of 7,000 Square sellers who have accepted loans through Square Capital was commissioned by Square Capital and conducted by Qualtrics. The survey has overall margin of error of 1–2% at 95% confidence interval. Participation in the survey was optional and all data was self-reported by study participants. Responses and insights gathered were shared with Square Capital in an aggregated and anonymous manner. Respondents participated in the study between January 9–11, 2017.